It Was Great to See You in Nashville! Thank you for stopping by to see us at the NAID Conference, we appreciate getting to know you face-to-face. We had 4 team members at the NAID 2018 Conference. If you missed one of us or would like to talk in more detail, give us a call at (303) 962-5576. 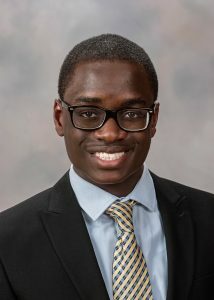 Congratulations to our 2018/2019 academic school year scholarship recipient, Habeeb Salau. Thank you to all NAID member companies and applicants that made this possible. 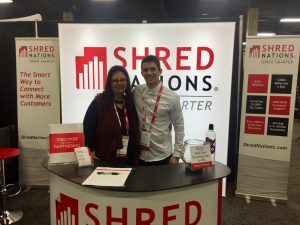 Congratulations to our NAID 2018 Smart Home winners, Michelle House with Total Shred Solutions and Gaines Garret with Secure Shredding and Recycling! Thank you to everyone that stopped by our booth and picked up a Shred Nations t-shirt. If you missed the chance to grab one, email your size and address to pr@shrednations.com and we will be happy to send you one!